All day long, sat waiting for the Chelsea starting XI to be announced, we wondered whether, after the shenanigans at Wembley on Sunday afternoon, if Kepa would be in the side. Opinion, on Vital Chelsea, swayed one way and then the other, would he be included or would the young Spaniard be left out. As it turned out, despite the Wembley incident being described as a misunderstanding, not only was Kepa fined a weeks’ wages but he was left out of the starting eleven that were to go on and beat Tottenham Hotspur, with Willy Caballero chosen. Surprisingly, with Tottenham billed as Premier League title contenders, Caballero had very little to do with the only moment he was in trouble coming when a shot crashed against the bar. “It was very easy. Kepa made a big mistake and then paid with the club. In this match he has to pay with the team. 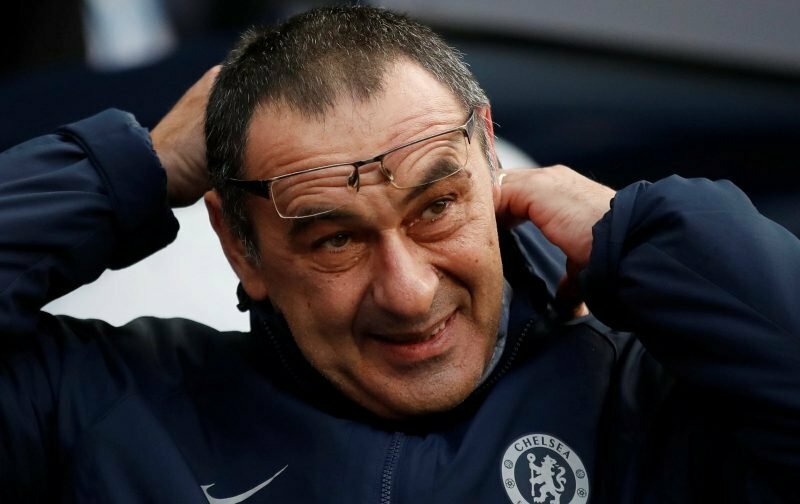 Sarri obviously felt he had a point to prove but I wonder what the reaction, amongst the support, would have been if Chelsea had been beaten by our London rivals? I guess, thankfully, we’ll never know. As for when Kepa will return, my money is on this Sunday when Chelsea make the short trip down the road to take on relegation-threatened Fulham. Sarri has handled it well. But i still feel we need a coach who is willing to give RlC & CHO more chances (if not start them right away) …. not sure Sarri will. At least he now seems to have a plan B. That can only help going forward. And just maybe the players have realized that they need to put a shift in every game, the Fulham fixture should answer that, Cos Parker will lift them and we need to compete or be beaten again by a clearly inferior side.